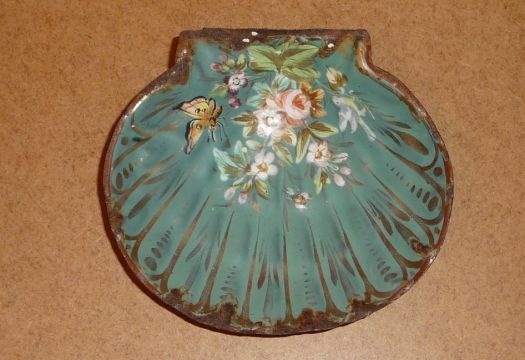 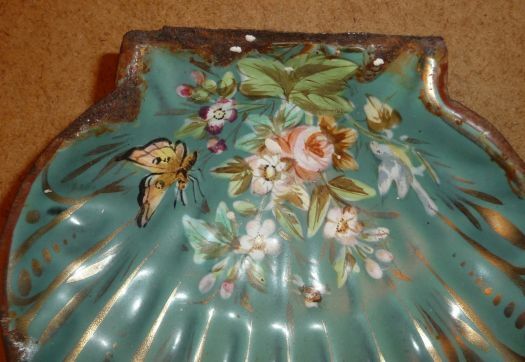 Rare enameled soap-rack, with a shell's shape, and a nice pattern of flowers and butterfly. 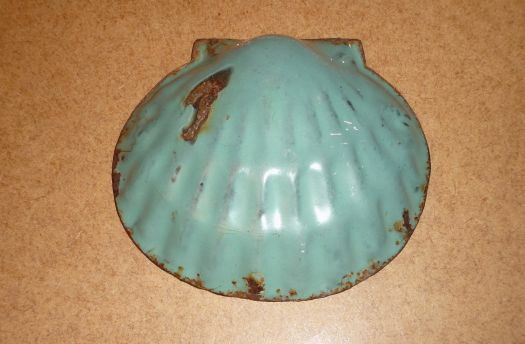 Unfortunately, there is much rust on the edge, it is a pity, but it remains an interesting piece for collection or decoration. 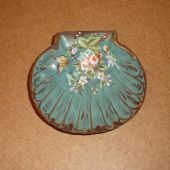 13,5 cm x 12 cm.